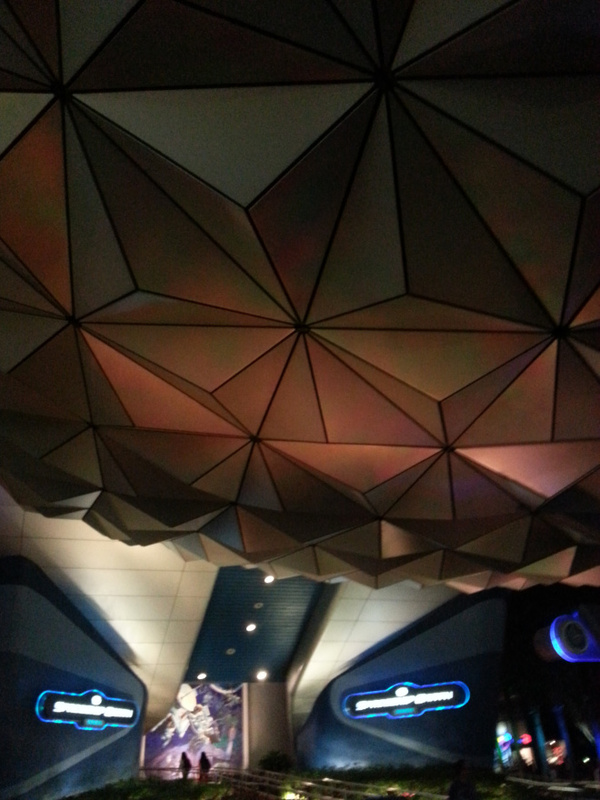 This is a unique way of interpreting Spaceship Earth, a favorite attraction of The Mature Mouse™. Do you enjoy this attraction? 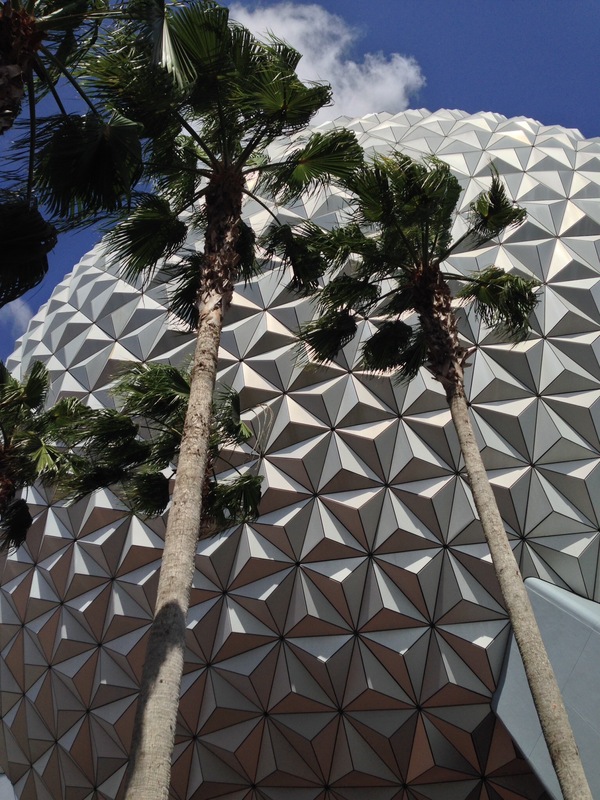 Spaceship Earth opened at Epcot (then EPCOT Center) in October 1982, and is sponsored by Siemens. It is a slow omni-mover attraction, themed to be a time machine carrying you throughout the events of human history, from prehistoric man to the modern era, and the progress of communication and human accomplishment throughout the ages. It is composed of a series of scenes of human evolution, made up of detailed sets and animatronics, a wave of sound effects, narration and a musical score playing all the while. The ride is about 15 minutes long, and takes patrons all the way up to the top of the geodesic sphere before turning the omni-mover cars backwards and returning patrons to the exit.